Doggie Cakes, on Main Street in New Port Richey was mentioned in the Summer 2009 issue of The GulfCoast Dog Magazine (Barking Section - Other Stuff You'll Like, Page 91 - Page 46 of the PDF). 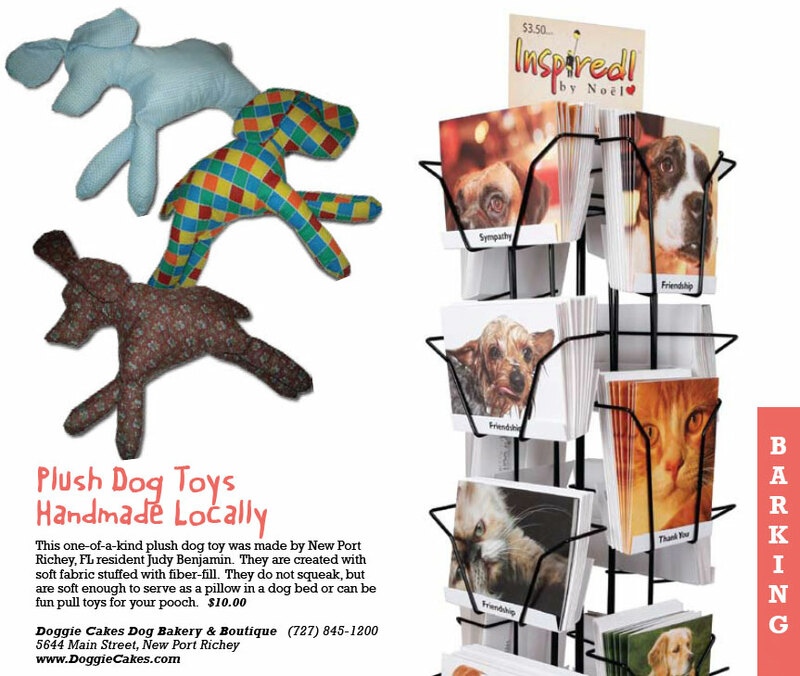 It features a photo and details on handmade plush dog toys by local resident Judy Benjamin. They are one-of-a-kind and available for purchase in our store, and on our website. This is a very cool surprise for us, and we appreciate it - as we continue to seek out a larger market share.